Castle – Real Estate Template Created by BrighThemes. This templates have specific characteristics, namely: Castle is a Premium HTML Template for Real Estate related websites. It has nice, clean and fully loaded with awesome features. The whole template is made with excellent responsiveness – you should definitely check the Castle on mobile devices. Castle property listing provides multiple property . 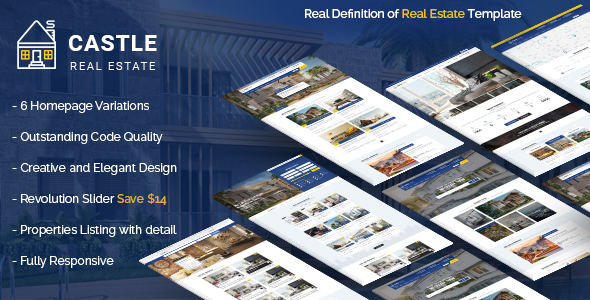 You can use this Castle – Real Estate Template on Site templates category for advanced search, business, homes, houses, listing, login, offices, property, real estate, real estate agency, real estate agent, realtor, rent, sale and another uses. All images are just used for preview purpose only and not INCLUDED in the Package files.